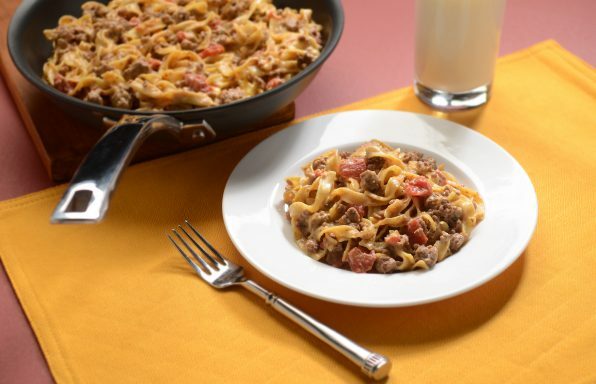 Cheeseburger Noodle Skillet will satisfy your burger craving without the messy grill by using one pot for an easy weeknight dish! 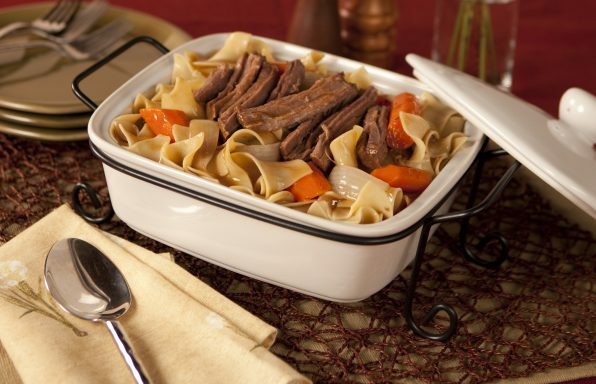 Pot roast flavors of onion, garlic, bay leaf, and thyme create the traditional Sunday dinner you're used to—with a noodle twist. 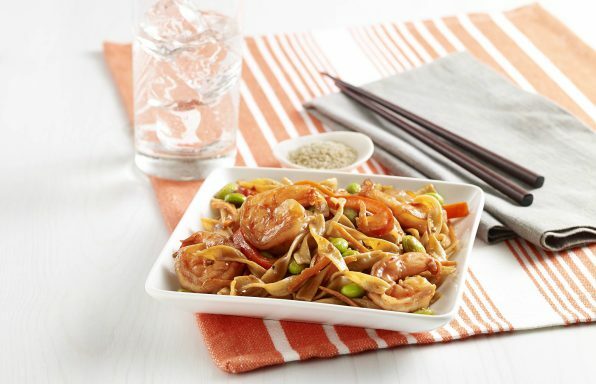 Cheesy Taco Noodle Skillet combines two family favorites—noodles and tacos—for a quick, easy one-dish skillet recipe full of flavor. 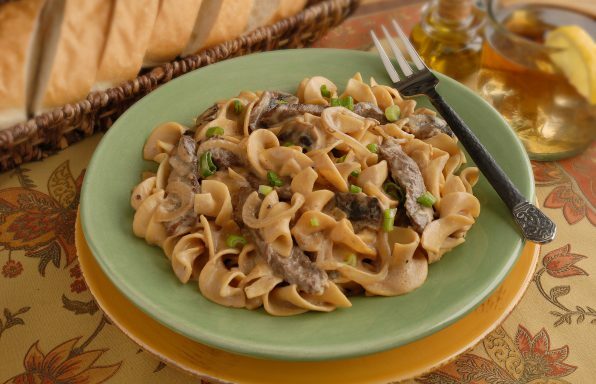 Enjoy classic beef stroganoff flavors of an onion and mushrooms sauce with the added heartiness of egg noodles in less than 30 minutes! 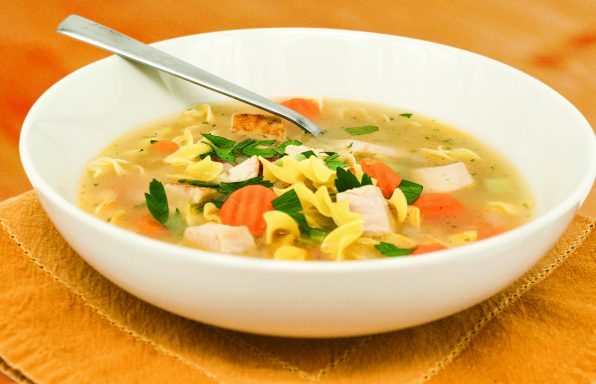 This Turkey Noodle Soup is a classic that delivers warmth and hearty flavor in less than 30 minutes and is a perfect way to use leftover holiday turkey. 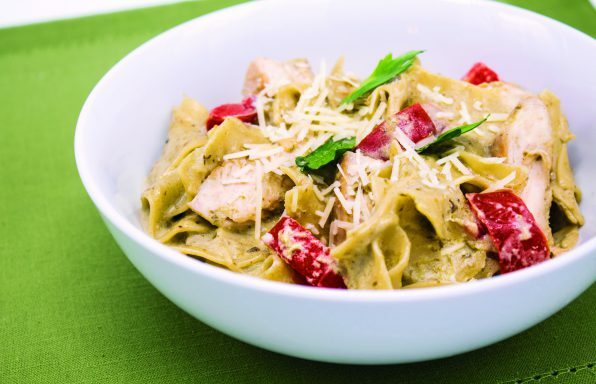 Alfredo Pesto Noodles with Chicken effortlessly combines two fan-favorite sauces for a seriously creamy pasta dish full of flavor. 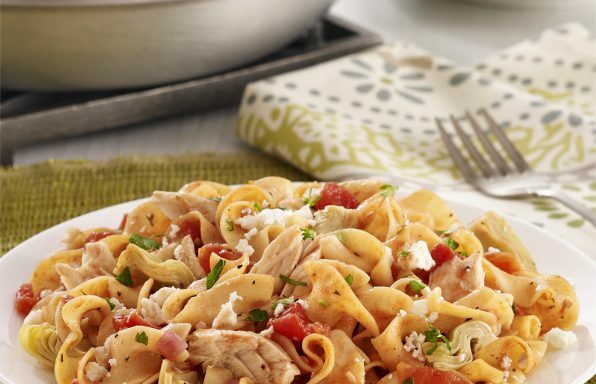 This tuna noodle skillet gets a modern twist thanks to the fresh, Mediterranean flavors of artichokes, tomato, and feta cheese. Ready in just 30 minutes! 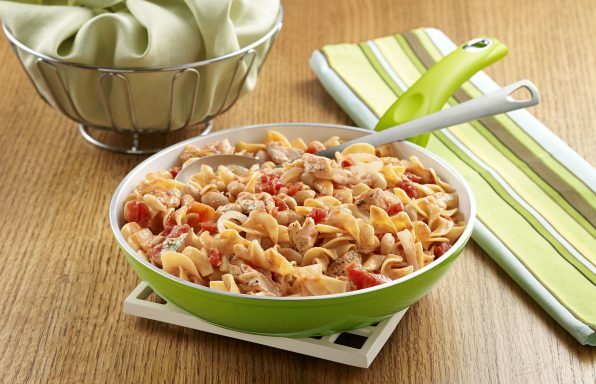 Italian Salmon Skillet with Noodles is a light, healthy, flavorful dish that combines egg noodles with fresh salmon, tomatoes, white beans, and white wine. 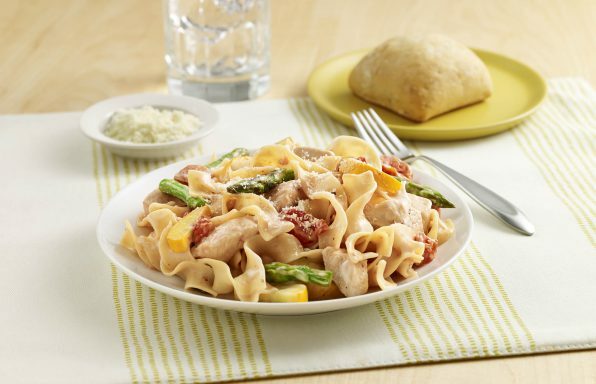 An egg noodle recipe with chicken, fresh vegetables, seasoned tomatoes and Alfredo sauce.